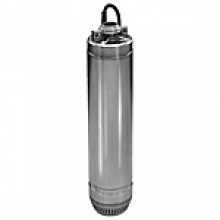 This is a bottom suction, submersible booster pump that has a continuous duty rated, non-overloading motor. It has a detachable suction strainer for easy clean out. Goulds Water Technology dewatering pumps are some of the finest on the market, combining versatility, precision engineering and consistent performance. Pump Products currently carries three series of dewatering pumps from Goulds: the 1SC series, the 1DW series and the 2DW series. NOTE: Many of the following items qualify for our Best Price Guarantee program. Find a lower price online for the same part number and we’ll match it! Subject to certain qualifications. Click the “Best Price” button a specific item page for full terms and conditions. Goulds 1SC series pumps are drainage booster pumps for high pressure dewatering applications. 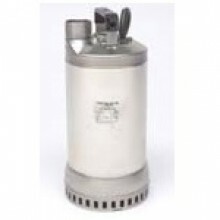 They are mainly used for pumping water out of reservoirs and storage tanks and can often be found in houses, farms, mobile home parks and motels. Each pump contains multiple stages (3, 4 or 5) for increased pressure applications. 1SC pumps can handle up ⅛” suspended solids and can be submerged in water up to 65 ft. Single- and three-phase models available. 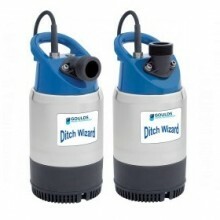 Like it’s cousin the 1DW series, the 2DW “Ditch Wizard” pumps are designed to move water from drainage ditches, as well as trenches, basements and manholes. 2DW pumps are constructed with durability and corrosion-resistance as the priority. Each pump features a polyurethane impeller and diffuser (with a rubber lining around the impeller), a bottom strainer made of EPDM impact-absorbing rubber and dual seals. The strainer can handle any size incoming solids. In addition, the 2” NPSM threaded hose coupling discharge can be configured for either vertical or horizontal discharge depending on the piping. 2DW pumps come with single phase motors built with automatic full overload and temperature protection. Can be submerged up to 16.5 ft.
Pump Products application engineers are standing by to provide technical assistance, price quotes or to answer any questions you may have regarding Goulds dewatering pumps. Call our toll-free number 1-800-429-0800.